During the 2014 season, Gator Football took on a service project to raise funds and awareness for Duchenne Muscular Dystrophy. Thanks to you, we raised over $2,800 for the cause. Please take a few minutes to click the links here to watch a heartwarming story about National Champion Ohio State Football and Jacob Jarvis. Last year’s 100lb football team, in honor of Jonathan Rice (pictured below), took on the challenge of winning recognition and raising funds to End Duchenne Muscular Dystrophy -- a horrible disease that affects 1 out of 3500 boys (typically), often with fatal results. Click Here to see a video of Jonathan cheering for DAA. Twenty years ago there was no research or recognition for this disease. One mother’s passion became a promise to her son to do what she can to fight for him. Even though she was not able to save her sons from this disease, she forged that passion into such a force that today congress has funded this project to end this horrible disease. Thanks to such efforts, these kids now have doubled their life expectancy. In the next five years, we can surpass what has taken us nearly two decades to achieve. Not only will this cure end Duchenne MD, it will help defeat many other diseases and open doors to cure others because of it. It all began with efforts similar to what we are trying to do today with our Gators. We need your support to make this happen, and set an example for all other youth programs to follow in our footsteps. Coach to Cure is a nationally recognized program and over 10,000 college coaches and staff across the country have been involved. We will be the first youth program to do this. We will set the bar for the rest! We will also work with our opponent coaches to have them involved. Our goal is to win recognition and raise money to fight for our cause. On Friday, October 10th flag football plays at Davidsonville Park at 6pm and then on Saturday, October 11th 7 of our tackle football teams play at home. Games start at 9am and continue back to back throughout the day until 7:30pm. We will mark Saturday as our Coach to Cure Day. 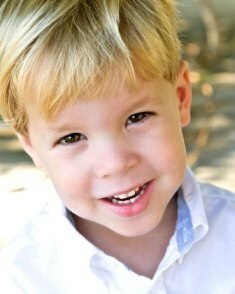 We have created a webpage for DAA www.parentprojectmd.org/gators and have set a very promising target of $5000. There are many ways we plan on achieving this goal. Matching Gifts: If you want to be part of the match program please email fracyon@gmail.com or let your team mom know. Patches: This is the awareness key.. Coaches will wear it on their arms for game day on October 11th. Our coaches alongside the opposing coaches will wear the patches in honor of the day. Our opponents that day will also be part of this drive as they will ask their families to take part on our website. We have some shirts that we will sell for $10 apiece, and will take orders for sizes we do not have at the time. We have 300 cool wristbands that we are selling for $5.00 each. We would like each player and parent to have one and wear if for the season. Cure Stress footballs for $2.00 each. **ITEMS MENTIONED ABOVE WILL BE ON SALE AT THE PAVILION ON 10/7, 10/9 AND 10/14 FROM 6PM TO 6:30PM. Every penny will go to the cause! We are so blessed to have healthy children. 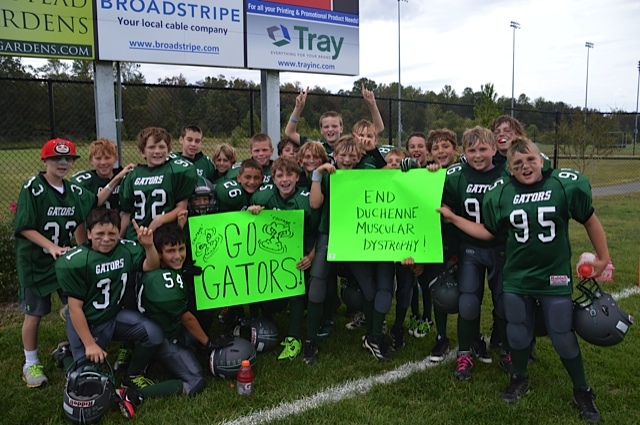 Let us all work together to bring as much recognition and funds over the next 10 days to TACKLE DUCHENNE….GO GATORS!